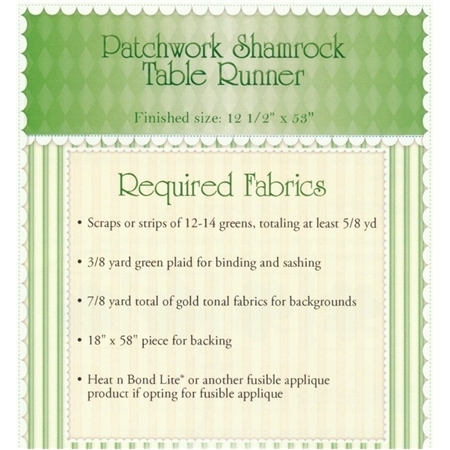 Share the luck of the Irish with this St. Patrick's Day runner! 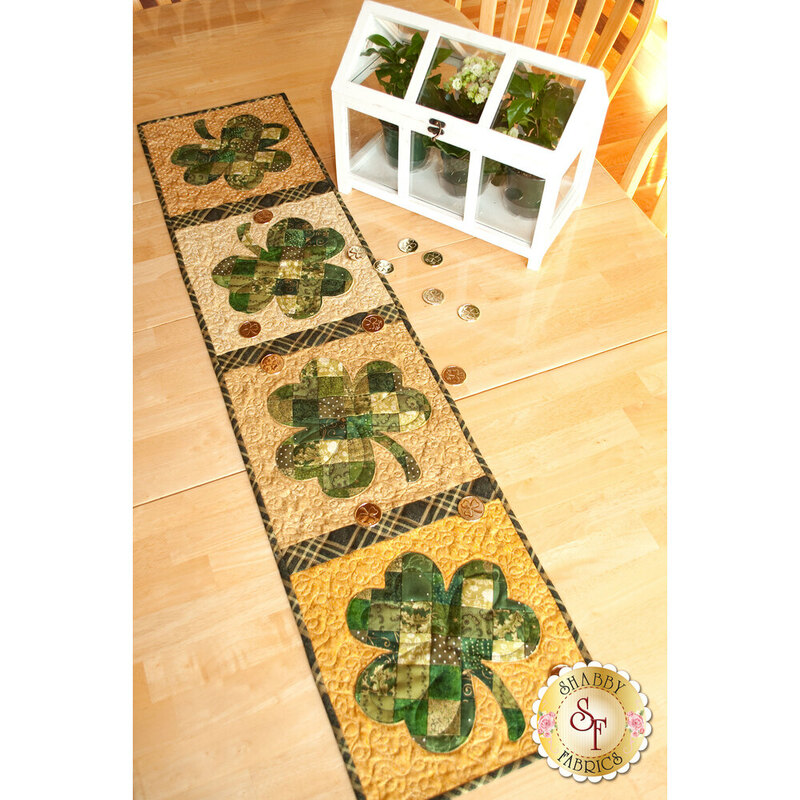 Designed right here at Shabby Fabrics by Jennifer Bosworth, this runner features patchwork shamrocks and some metallic gold accents. Runner finishes to 12 1/2" x 53". Pattern includes all instructions. Add the Olfa 45mm Rotary Cutter below for precision cutting!